On Saturday, 4/9/16 (Day 97) while heading back to Alabama from visiting my cousin in northern Georgia I often take back roads. 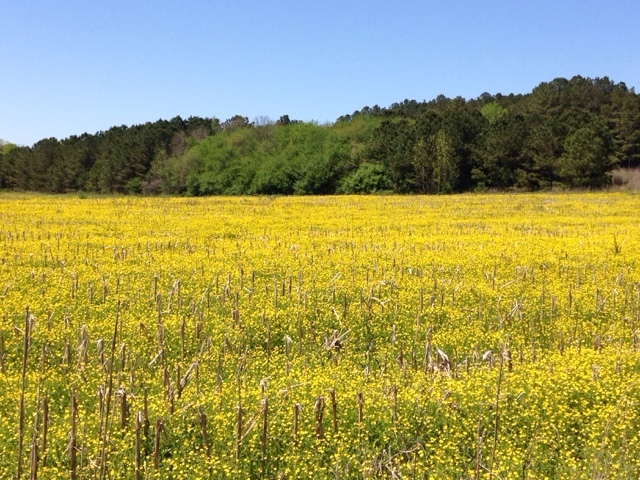 I rad across a couple of fields in visiting up bloom. 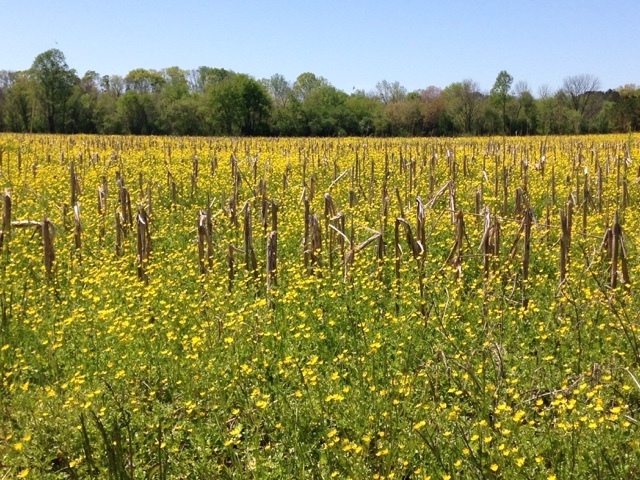 This shot is of old brown corn stalks in contrast to young spring flowers. Taking the back roads gives me the opportunity to stop and enjoy matures gifts.